Communications Minister Malcolm Turnbull, as many will recall, was not originally the greatest fan of NBN Co building its own satellites. In “There is enough capacity on private satellites already in orbit or scheduled for launch for the NBN to deliver broadband to the 200,000 or so premises in remote Australia without building its own,” Turnbull said in a statement in February 2012. All of this is good news for remote Australia. There is a certain percentage of the nation — especially remote farming facilities — which will never be able to be serviced by fixed telecommunications infrastructure, due to the cost of reaching those areas. 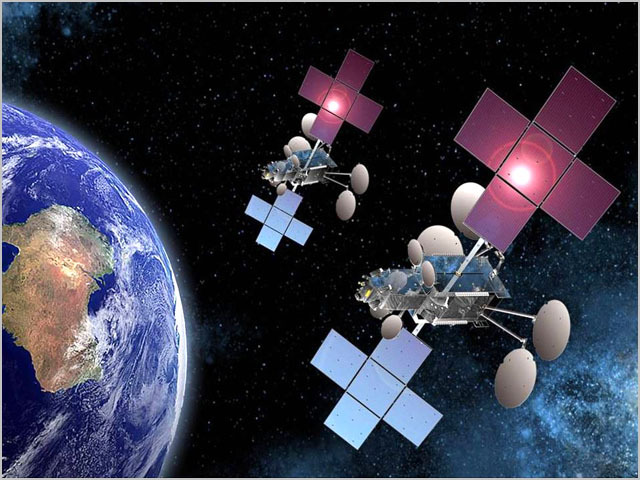 Subsidised satellite access is the logical way to target them, and it is pleasing to see NBN Co considering investing further in this area, even before its planned two satellites get off the ground. He removed the article on the blog, but luckily it’s still here! Ahh the comments.. Good times, good times. Also shows that once you have said or put something up on the net, it is there to stay forever. Either through re-tweets, the many services that archive youtube videos, or things like archive.org itself. An NBN Co spokeswoman said the company was confident of securing the required orbital slots. I thought Mike Quigley was quite adamant that the slots were secured when questioned by Turnbull on this issue in the old joint committee hearing. There is something odd going on here i think, I’m just not sure what exactly yet. Could Turnbull be trying to move a bunch of wireless users onto satellite to try to shift cost to, and hide the cost in the “inadequate” satellite repair job. ie The 3rd satellite. Quigley always struck me a man with integrity and i don’t think that they would have got things so wrong, whereas Turnbull (and the new NBNco) seem sleazy. I find it hard to trust anything they say and find myself looking for their play or angle. no IIRC the orbital slots always lagged the decision for the sats – but MQ was confident they would land the slots, i think the language was ‘this isnt unusual in this situation’. i think the suspicion is justified; my personal feeling is that if fixed line wasnt messed about with so much, to crowbar it into the MTM design, the demand for these sort of alternate services wouldnt be as large as we are seeing. i fully expect it as a knock on effect of those design decisions, tracable right back to and resting as the responsibility of MT. ironic, considering how as Renai pointed out, he was really against any new satellites to start with; and now they are longfacing about how a third might eventually be needed. its a bad joke, it really is. As others have suggested, the need went from two to three, because of the reduced ftth footprint..